Horses are a costly business, it’s not just a simple case of buying one, you have to feed it, kit it out with tack, rugs etc. If you don’t have your own place you will have to pay livery fees. There are medical bills, farrier costs, your horse will need a dentist to check it’s teeth, a back specialist…. It all adds up and soon mounts up. Before you go and get one think about whether you can afford it. It’s also a massive commitment. When I was on DIY livery one horse just to look after probably took me on average of 2 hours a day, that was for mucking out grooming, rug changing etc – that didn’t include riding. Owning a horse isn’t a hobby it’s a way of life and if I didn’t have an understanding and supportive husband I wouldn’t be able to fit it all in! 1. Be honest – You firstly need to be honest about your own abilities. Everyone thinks they are amazing and wants to be the next Olympian – on a whole many of us aren’t going to get there. Don’t over horse yourself either in size or talent. Many don’t have the luxury to keep a horse for life when you’ve outgrown it. If you want to stay with the neddy you had a nervous youngster when a more competent adult go for it, but sometimes you have to accept it’s time to say goodbye, you to move up a gear and the cherished pony of your child hood bring a whole lot of fun to someone new. 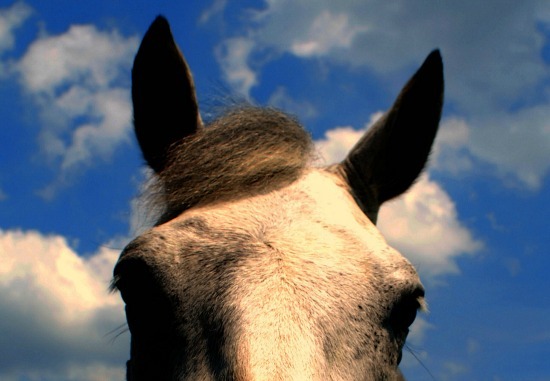 Sadly owning a horse isn’t like having a dog – sometimes they don’t stay with you forever. 2. Take an instructor with you – It’s always good to have a second pair of eyes – someone who won’t fall in love with those big eyes because ultimately it won’t be their horse. They can also help assess whether the horse is a suitable fit. By taking an instructor along it also offers support for when times are tough – even the nicest horse can be a devil at times and it’s useful to have taken your instructor with you at the start as he/she too and go through that journey with you, holding your hand and picking you up from the floor as things go. 3. Look the horse over yourself, can you pick it’s feet out, does it lead ok.
4. Watch the current owner ride the horse before riding it yourself – that gives you a chance to assess it as well as establish that’s it’s not a nutter that someone is trying simply to offload onto you. 5. If you can try more than once – be sure you’re doing the right thing. 6. Ask lots of questions – if they are a genuine seller they will like the fact you ask lots of questions and want to make sure the horse is right for you. 7. Get it vetted. It’s tempting not to bother but for peace of mind I’d always do – ideally with a vet you have a rappor with. If you can be there when the horse is vetted as well as you can ask questions and see how the horse reacts to the situation. 9. Ask about medical history, are vaccinations up to date, has it every had illness, been off work, does it have any vices? 10. What food is it on at the moment – it’s nice to know so you can continue this feeding regime when you get it home.